Finally premiering this weekend to give fans of the franchise a taste of the hot rod car racing, suspense, and action to come, Universal Pictures has released the first official trailer to their next installment in the long-running “Fast and Furious” film franchise with “Furious 7“, which reunites Vin Diesel with his team of highly professional drivers and job takers, including his best friend in the screen and off it, the late and great Paul Walker. 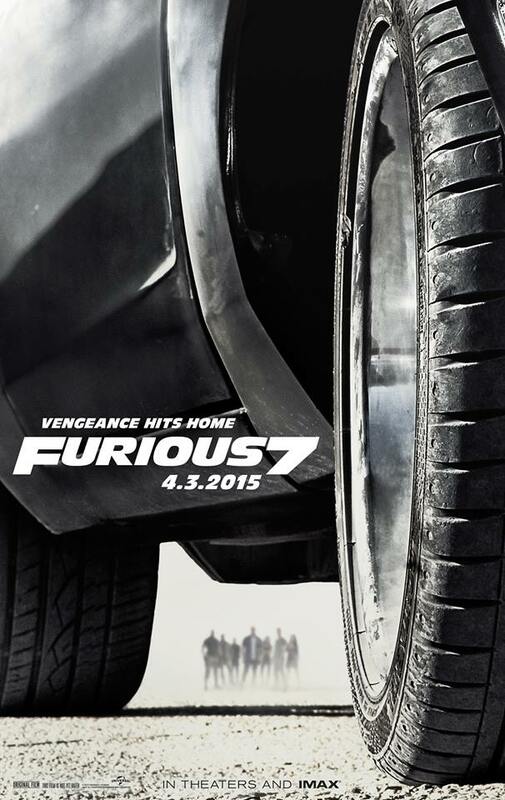 So without any further stops or delays, here’s the world’s first look at Furious 7! There you have it. A tale of vengeance and family that has nothing but the best kind of action that’s fast, smooth, dangerous, and full or emotional output that fans of the franchise definitely need to look forward to come early next year. In “Furious 7”, the action takes place after the events of “Fast & Furious 6” and “The Fast and the Furious: Tokyo Drift“, where Dominic Toretto and his family have now tried to move on with their lives after being pardoned following their successful mission in defeating Owen Shaw. Unfortunately, Shaw’s older brother Ian (played by Jason Statham) is out for revenge, and is the one responsible for putting Han out of commission in Japan. With the stakes high and everyone a target, Dom, Brian O’Conner, and the rest of the gang must take one last ride to keep themselves from being roadkill for good. Furious 7, directed by James Wan of Insidious and Saw fame, will be released April 3, 2015 in the United States. Previous articleHappy Halloween! 5 Survival Horror Games that should be played! Next articleMarvel and Attack On Titan crossover project teased and announced! Break out of this Solo: A Star Wars Story-themed escape room!